As Summer reluctantly comes to its inevitable close, and the sun sets ever earlier with each passing day, it’s the perfect time to get comfortable on the sofa and while away the darker nights with a good book. Or for those sensible souls that chase the late summer sun after the chaos of August with a weekend getaway or a September holiday, when the masses have returned to work and school, we’ve got some brilliant reads that’ll help you remove yourselves from the every day and ease you into some well-deserved R&R. Here’s our late Summer Crime Thriller Book Review. 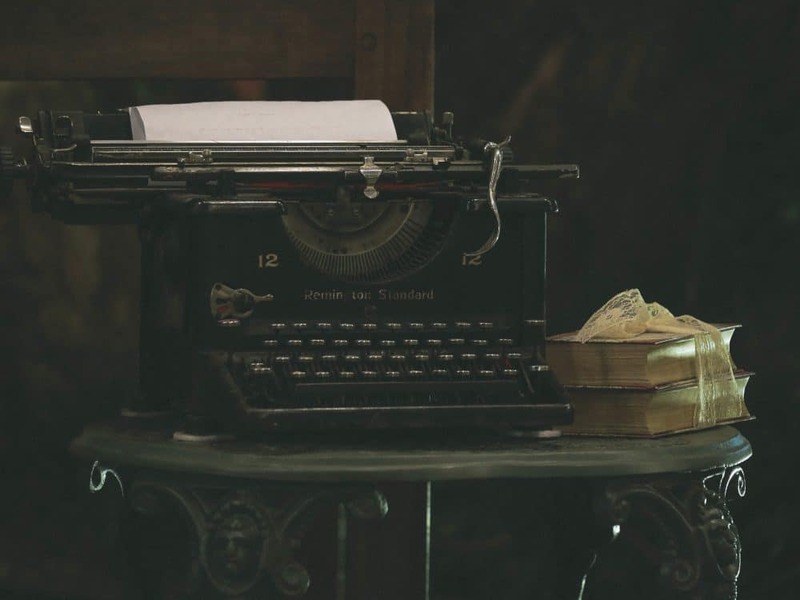 Kevin Wignall is a man with an intriguing past, much like the central protagonists that feature in his thrilling crime-riddled collection of books. Having grown up as an army child in various European locations, it’s little wonder we find a variety of cities forming the backdrop to his stories. 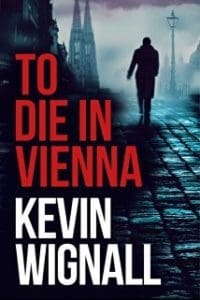 His latest offering and ninth novel To Die in Vienna has recently been snapped up by Focus Features and is set to become a motion picture featuring Jake Gyllenhaal as surveillance expert Freddie Makin. That’s right Freddie Makin is a civilian surveillance contractor who has for the last year been following the movements of Jiang Cheng a Chinese academic, who on the surface lives a plausible and largely conventional life. Nothing seems out of the ordinary until one day, as Freddie suffering from one of his all too regular migraines, returns to his apartment and interrupts what seems to be a chance your arm style break-in, but as the intruder escapes and later returns, the enormity of his situation becomes clear. Freddie is a wanted man, but why? When Cheng disappears, presumed murdered, Freddie realises that the roles have been reversed and it is he who is now a watched and wanted man. By whom and for what, Freddie has no clue, but something he’s seen holds the key to this puzzle. Freddie’s past unravels and his attention turns to the CIA, and a thrilling game of cat and mouse unfolds across Vienna. Do they know about his time in Yemen? If not how can he stop them finding out? Wignall is an exceptional crime writer and To Die in Vienna is a superb example, full of colourful characters with mysterious backgrounds, it’s a tense rollercoaster that rattles along at a great pace, ably led by the flawed yet likeable character Freddie Makin, it’s little wonder we’ll soon see this on the big screen – but be sure to read the book first! World class collaborators Douglas Preston & Lincoln Child are no strangers to breathless bestsellers having had a whopping 15 novels on the bounce make it onto the fabled New York Times listing. 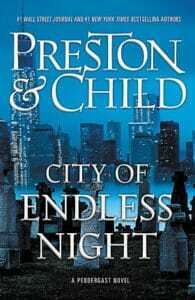 In City of Endless Night, they’ve once again forged a gripping page-turner from the ongoing exploits of Agent Pendergast. Newbies fear not as it can be read as a standalone, but as a heads up Pendergast is an eccentric and intelligent investigator with the United States Federal Bureau of Investigation, who has a morbid yet keen interest in serial killers, handy because that’s exactly what he’s got on his hands as he teams up once again with Lieutenant D’Agosta to track down a dangerous killer that’s haunting New York City. What starts with the decapitated body of a young white female found in a garage – the missing daughter of tech billionaire Anton Ozmian – quickly turns into a stomach-churning trail of destruction as Pendergast & D’Agosta quickly realise the terrifying prospect that they may actually be dealing with more than one killer. A distraught and angry billionaire is the last thing the NYPD or FBI need, and no sooner has the news broke, than another headless corpse shows up. As tabloid journos circulate and news breaks, more body’s start appearing with seemingly one thing in common, they’re incredibly wealthy members of the one-percent, or at least that’s one man’s theory. With inflammatory rhetoric circulating, and Agent Pendergast seemingly distracted by his own issues, the killer is always one step ahead, too clever and too organised. It will take all of Pendergast’s deductive talents and determination, for this murderous rampage to come to an end. The mounting pressure to come up with answers and solve the case before a fractious New York turns into bedlem simply adds to the pressure on Pendergast but makes for a gripping mystery that holds the energy and intrigue until the last. There’s a significant twist in the tale that’s worth the wait as Preston & Child show once again that if the winning formula ain’t broke why fix it. If like us at The MALESTROM, all things that go bump in the night, the dark, twisted and delightfully terrifying are your cup of tea, then Mark Edwards is an author you should be accustomed to, and if not, then there’s never been a better time to get onboard. His first novel, The Magpies, heralded the emergence of a thrilling writer and signposted Edwards canny knack for placing ordinary everyday people in the most horrifying scenarios. 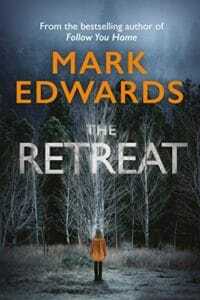 In The Retreat Edwards offers another masterclass in the psychological thriller genre, in what is a tension-filled, utterly compelling read. The plot is centred on Julie Marsh, a widow who has spent two grief-stricken years mourning the loss of her husband who drowned trying to save their eight-year-old daughter Lily. She’s consumed with the belief that her child – whose body was never found – is still alive. Remaining in their secluded and idyllic family home, a stone’s throw from the tragedy, Julie must find a means to maintain the upkeep on the property, or risk losing the only connection she has left to her beloved family. An esteemed novelist, Julie opts to turn the rural idyll into a retreat for other accomplished and aspiring writers. 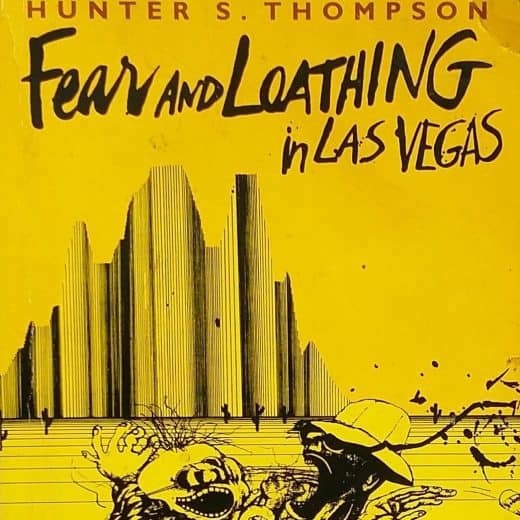 First cab off the rank is Lucas, a horror novelist who develops more than a passing interest in the tragedy that struck Julie, and what indeed happened to her daughter Lily. Taking investigative matters into his own hands, the local legend of the Red Widow – a witch who kidnaps young girls – grips his imagination, and as eerie and unexplainable goings on, begin to plague the property, Lucas, and Julie begin on a horrifying trail with more twists and turns than an afternoon at Alton Towers. What secret are the local townsfolk hiding? 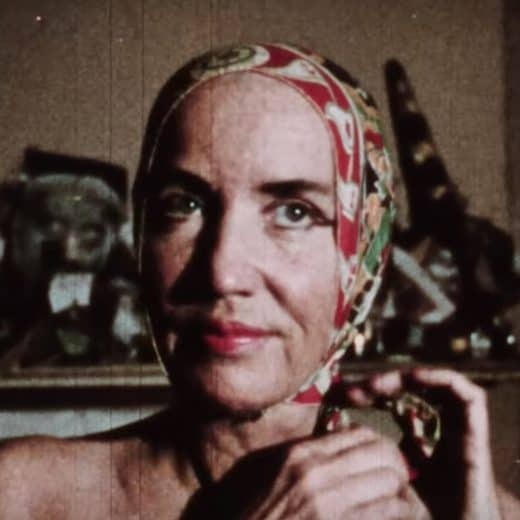 Is Lily still alive, and if so where is she? A wonderfully dark and atmospheric read, Edwards does a fine job of building the tension while layering the plot with a complex web of possible resolutions. A gripping spine-chiller, this is a book you could nail in one sitting. 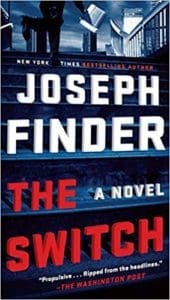 Another writer adept at placing ordinary people in exceptional circumstances is Joseph Finder, a regular New York Times bestseller, The Switch is a heart-pounding stand-alone novel that underlines his credentials as an outstanding suspense writer. Gourmet coffee entrepreneur Michael Tanner is returning from a business trip in LA when he inadvertently picks up the wrong laptop at Airport security, however, it’s not just any old Macbook, it belongs to none other than U.S. Senator Susan Robbins and contained within its drive lies top-secret documents pertaining to national security that if made public would have unimaginable consequences, not least for the Senator herself. Realising the potential ramifications of his chance encounter, Tanner soon becomes a very wanted man. As the Senator sets her Chief of Staff, Will Abbott, on the case, Tanner worries that returning the laptop will not ensure his safety, given the very sensitive and incriminating nature of the files. Fearing for his family and his own life, and becoming increasingly desperate, Tanner is forced to go on the run, and to make matters worse The National Security Agency is now in hot pursuit. Who can he trust? Absolutely no one! A traditional and wonderfully crafted suspense thriller mixed in with pertinent contemporary socio-political concerns, there’s a real sense of urgency and desperation that never lets up. Surely film rights beckon for this gem.